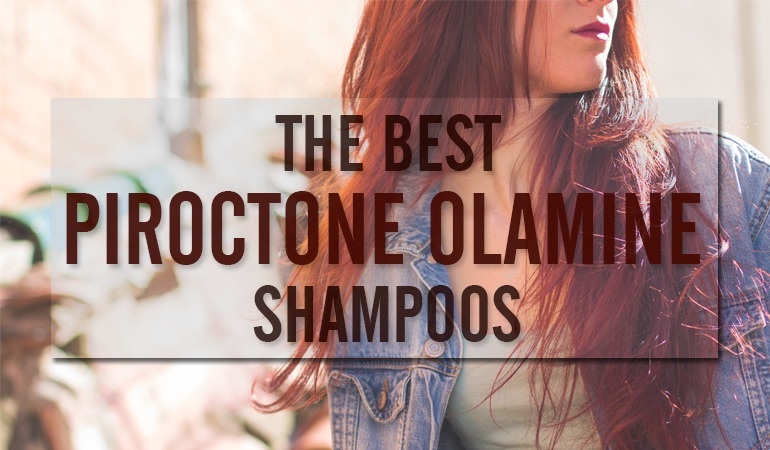 If you glance at the ingredient label of your favourite shampoo, it’s likely that you’ll find at least one alcohol-based item without straining your eyes. They are nigh on ubiquitous, even in ‘natural’ shampoos. 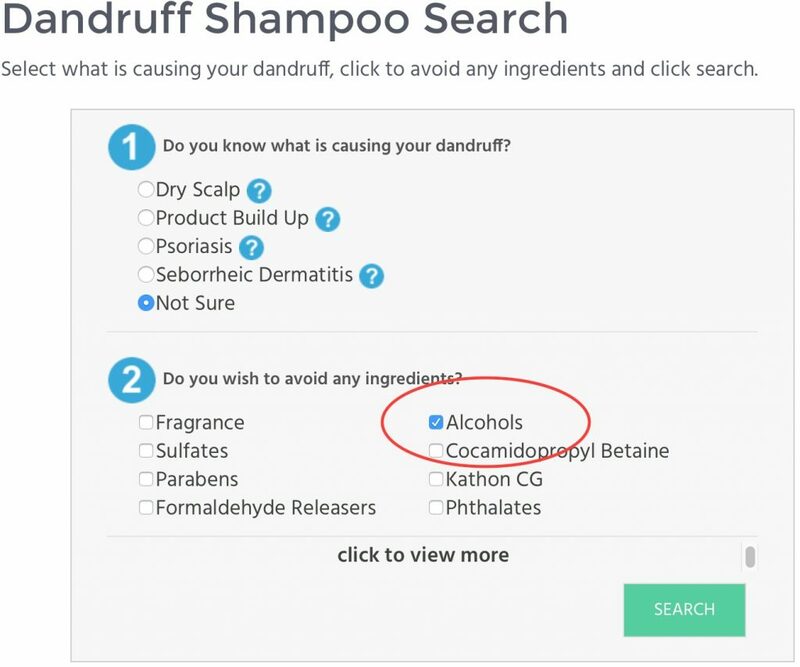 There are tens (if not hundreds) of thousands of web searches every month looking for “alcohol free shampoos”. 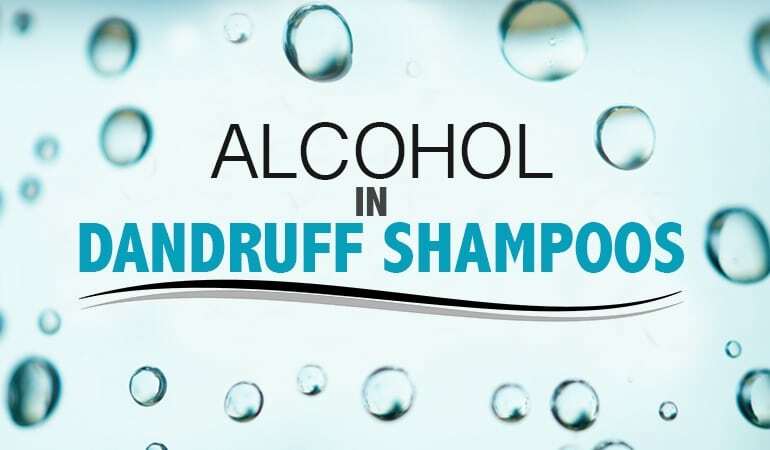 Unfortunately for them, there are two main types of alcohol found in shampoos. One you want to avoid and one you want to use. In this article we’ll explore the purpose and drawbacks of each type, as well as the alternatives if you want to avoid alcohols altogether. Why are alcohols added to shampoo? Alcohols are primarily used in shampoos as non-ionic emulsifiers, essential for keeping the ingredients mixed together in a cream or lotion . Without an emulsifier, the ingredients would separate based on their solubility in water or oil, which would leave a highly undesirable product, similar in texture to curdled milk. Note: the functionality of an –alcohol group can be used to modify the solubility of other ingredients. An example of this would be the secondary alcohol sulfates, which act primarily as surfactants (e.g. sodium sec‐lauryl sulfate) . In this review, we’ll focus on the alcohols used as emulsifiers. Which alcohols are found in shampoo? There are two main types of alcohol found in shampoos: ‘short chain’ and longer chain ‘fatty’ alcohols. Of course there’s an exception. In this case, ‘benzyl alcohol’ is a fatty alcohol but is extremely irritating to the scalp. It’s actually Benzyl alcohol is an incredibly popular ingredient that manufacturers love, but it will normally be one of the last ingredients as it’s used as a preservative in low concentrations. If it’s any higher on the ingredient list, then you might want to consider avoiding the product altogether! . Short chain alcohols have a number of downsides, but this is one of the reasons they aren’t routinely added to shampoos. They can be irritating, leading to contact dermatitis, and are known to remove the moisture from hair with repeated use . If you find a shampoo with short chain alcohols high on the ingredient list, then they should probably be avoided. Fatty alcohols have generally less negative publicity, but they can still cause irritation with repeated use. Cetearyl alcohol is a known allergen, which can present as severe contact dermatitis of unidentified cause (although this is more likely with cetearyl alcohol creams and bandages) . Alarmingly, many fatty alcohols are derived directly from palm oil, which is linked with deforestation, habitat degradation, climate change, and abuse of native populations . Lecithin is a mixture of fats found in plant material, and acts as an effective emulsifier. The composition differs depending on the source, for example: soybean, rapeseed, or sunflowers. Like many ‘natural’ emulsifiers, the source can sound good, but the industrial process used to extract the material is not. In this case, non-polar solvents such as hexane and benzene are used to recover lecithin from plant material . You’ll see this used by a lot of smaller manufacturers or hoe crafters of shampoos. That’s because its incredibly easy to get hold of and easy to use too. One of my personal favorites, this fermented ingredient is actually a naturally forming bacteria. You can produce it from whey – the leftovers from cheese. I wish this stuff was more widely used! It’s possible to avoid chemical emulsifiers entirely by applying enough heat and mechanical energy. This is the gold standard in emusifying a shampoo, but is isn’t industry standard because it’s expensive. The emulsified product is likely to separate over time (vastly reducing shelf lives) . Anyone that has ever bought expensive peanut butter knows that all you have to do to restore the emulsion is stir or shake the product – but very few shampoos ask you to use this technique. I wish they would personally. Wouldn’t you rather shake your bottle than have emulsifying chemicals added to save you the hassle? Before we show you our current top ten, if you want to search for an alcohol free dandruff shampoo yourself, browse over to our dandruff shampoo search. Select what causes your dandruff and indicate that you wish to find all shampoos that don’t contain Alcohol as shown below. Note, the only alcohols you’ll be avoiding are benzyl and the short chains! 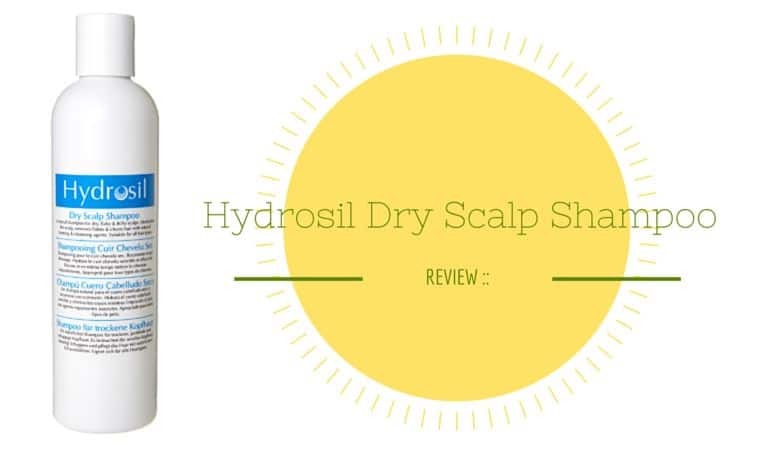 If you haven’t seen your favorite alcohol free shampoo listed, chances are we’ve already reviewed and it can be found if you check out all our alcohol free dandruff shampoo reviews. Barry, B. W. (1971). Structure and rheology of emulsions stabilised by mixed emulsifiers. Rheologica Acta, 10(1), 96-105. Dreger, E. E., Klein, G., Miles, G., Shedlovsky, L., & Ross, J. (1944). Sodium Alcohol Sulfates. Properties Involving Surface Activity. Industrial & Engineering Chemistry, 36(7), 610-617. Rance, R. W. (1974). Studies of the factors controlling the action of hair sprays. J. Soc. Cosmet. Chem, 25, 545-561. Flynn, T. C., Petros, J., Clark, R. E., & Viehman, G. E. (2001). Dry skin and moisturizers. Clinics in Dermatology, 19(4), 387-392. Kreutzer, U. R. (1984). Manufacture of fatty alcohols based on natural fats and oils. Journal of the American Oil Chemists’ Society, 61(2), 343-348. Lucchini, J. J., Corre, J., & Cremieux, A. (1990). Antibacterial activity of phenolic compounds and aromatic alcohols. Research in Microbiology, 141(4), 499-510. Ophaswongse, S., & Maibach, H. I. (1994). Alcohol dermatitis: allergic contact dermatitis and contact urticaria syndrome. Contact Dermatitis, 30(1), 1-6. Wilson, C. L., Cameron, J., Powell, S. M., Cherry, G., & Ryan, T. J. (1991). High incidence of contact dermatitis in leg‐ulcer patients–implications for management. Clinical and Experimental Dermatology, 16(4), 250-253. Fitzherbert, E. B., Struebig, M. J., Morel, A., Danielsen, F., Brühl, C. A., Donald, P. F., & Phalan, B. (2008). How will oil palm expansion affect biodiversity?. Trends in Ecology & Evolution, 23(10), 538-545. Palacios, L. E., & Wang, T. (2005). Egg-yolk lipid fractionation and lecithin characterization. Journal of the American Oil Chemists’ Society, 82(8), 571-578. Zografi, G. (1982). Physical stability assessment of emulsions and related disperse systems: a critical review. J. Soc. Cosmet. Chem, 33, 345-358.